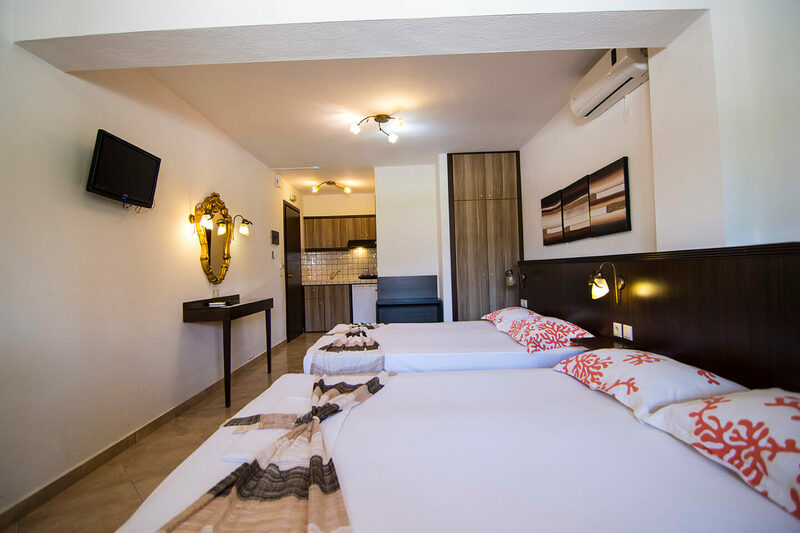 Our Quadruple Rooms are designed to offer a luxury feeling. 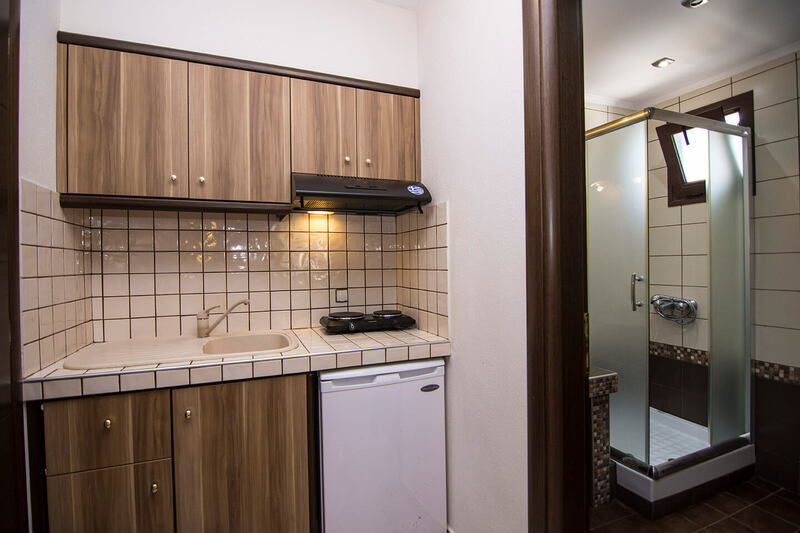 It is equipped with 2 double comfortable beds, a wardrobe / closet to keep an order to your clothes, a desk and a mirror in front of it. 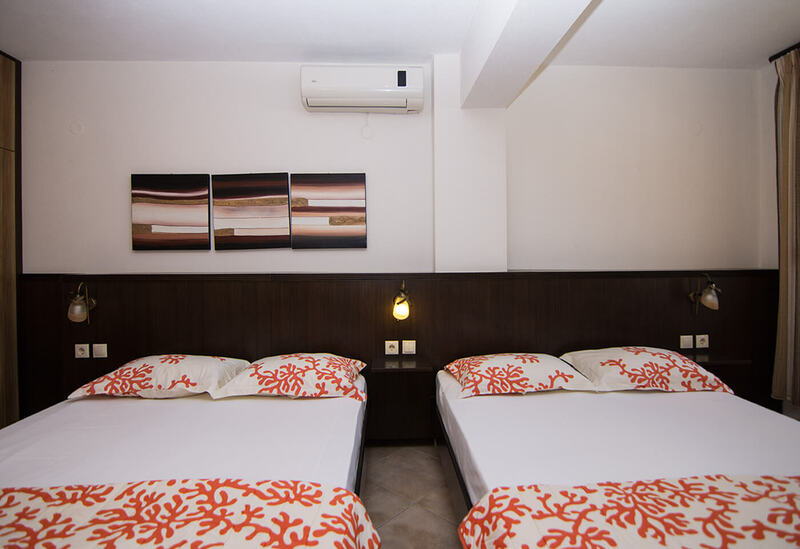 A flat TV screen with satellite channels, air- conditioning / heating and wifi access is there at your disposal. 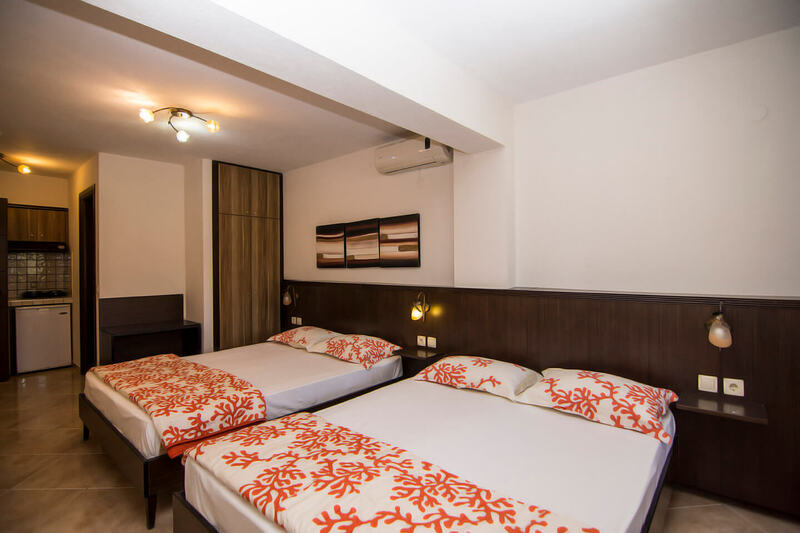 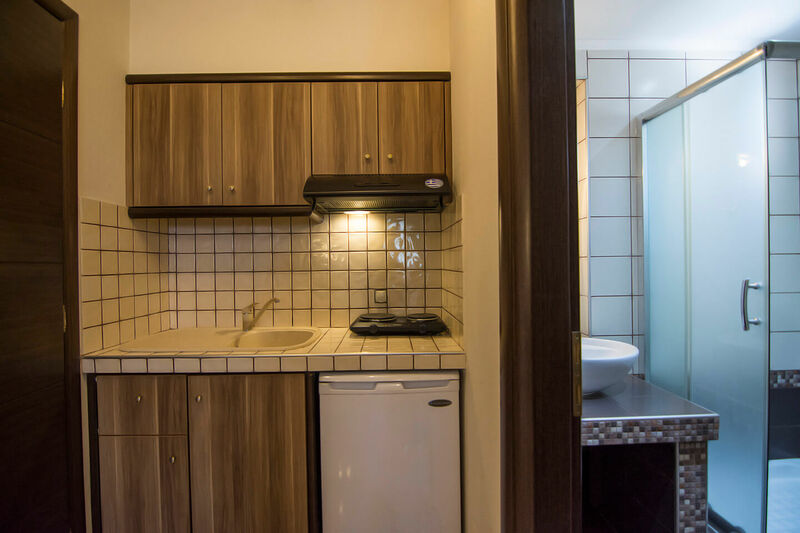 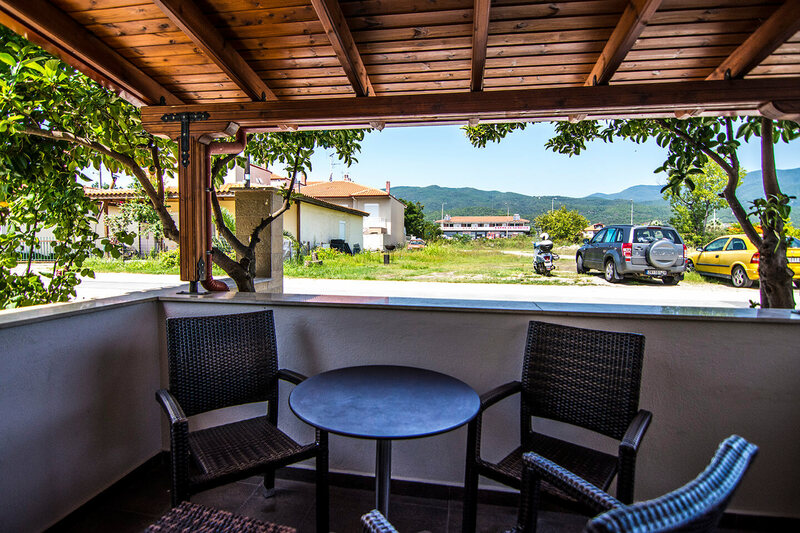 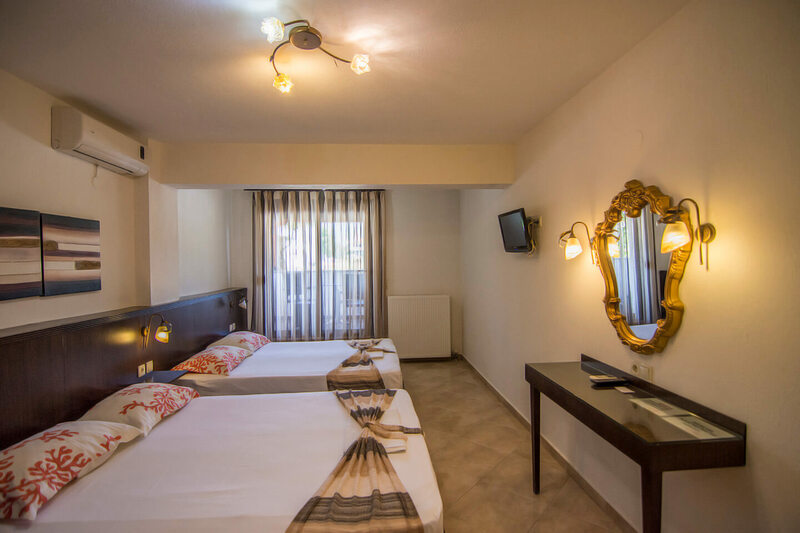 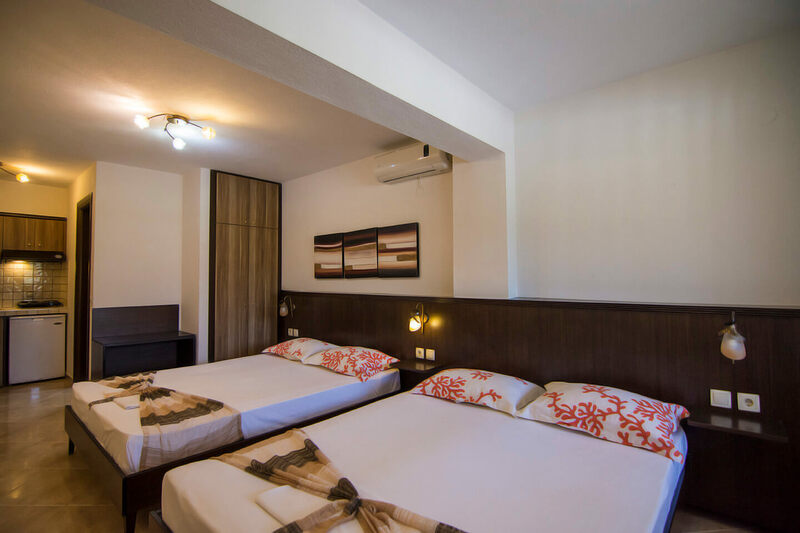 Each Quadruple Room has a fully equipped kitchen with refrigerator and an electric stove. 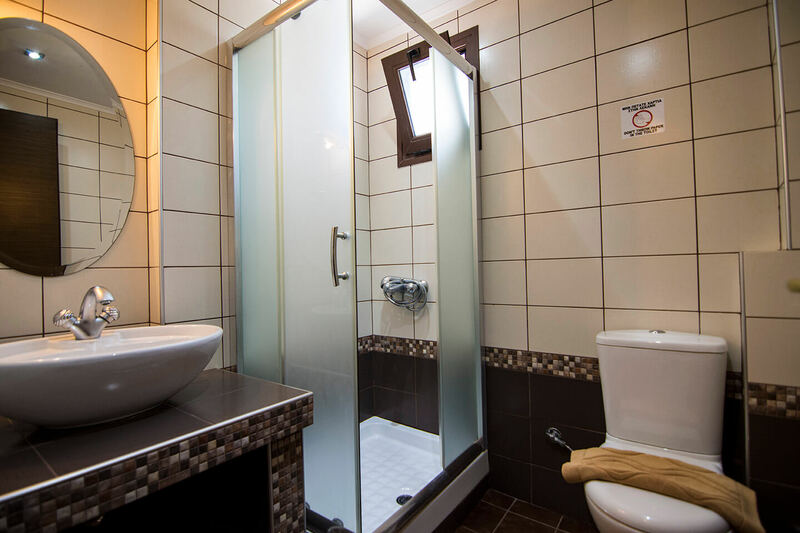 Also there is a shower/wc with hot water 24/7, towels and free toiletries. 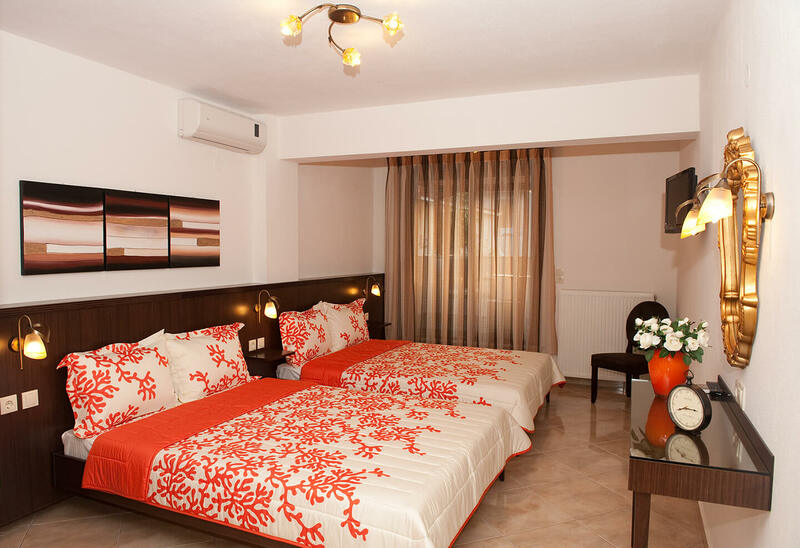 Our Quadruple Rooms are ideal for young couples with 2 children.